Sales agents for these operations often misrepresent the disadvantages of seniors’ current investments and the advantages of the investments they are selling. They may even make seniors believe their bank accounts are not as safe as the annuities or investments they want the seniors to buy. 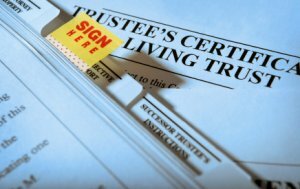 To give themselves a cloak of legitimacy, these sale agents pretend to be experts at Living Trusts. In their solicitations, these sales agents often pose as expert financial or estate planners. They pass themselves off as a “trust advisor”, “senior estate planning” individual or a “paralegal” and schedule initial appointments with seniors in their homes. Under the guise of helping to set up or update a Living Trust, the sales agents find out about the seniors’ financial assets and investments. They sometimes work in assisted living centers, churches and other places where seniors gather, scamming elderly victims through free seminars and other sales presentations. Planning an estate and choosing investments involve important legal, financial and personal decisions. If financial planning documents are not properly prepared or executed, they can be invalid and cause lasting damage. An attorney qualified in estate planning can help consumers decide if they need a Living Trust and other estate planning documents or help them review an existing Trust or Will. Consult with an Arizona licensed estate planning attorney or financial advisor, preferably one recommended to you by a trusted friend or family member, or contact the State Bar of Arizona and ask for a referral of a certified specialist. Beware of high pressure sales tactics. Take time to consider your options. If you decide to obtain a Living Trust, make sure it is properly funded. That is, that the property has been transferred from your name to the Trust. Unless your assets are retitled in the name of the Living Trust, they may very well be subject to probate proceedings upon your death.